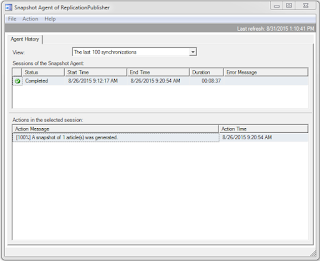 We had SQL Server transaction replication configured in our environment. I wanted to add new articles to the publication. To do this efficiently, I wanted to initialize only the new articles. I wanted to avoid taking a full snapshot of all the existing articles all over again. I googled around and found a pretty simple way in which this can be achieved. This can be achieved in four simple steps. Once this agent completes you will notice that it has created a snapshot with only the newly added article. This is super fast and saves disk space as well. 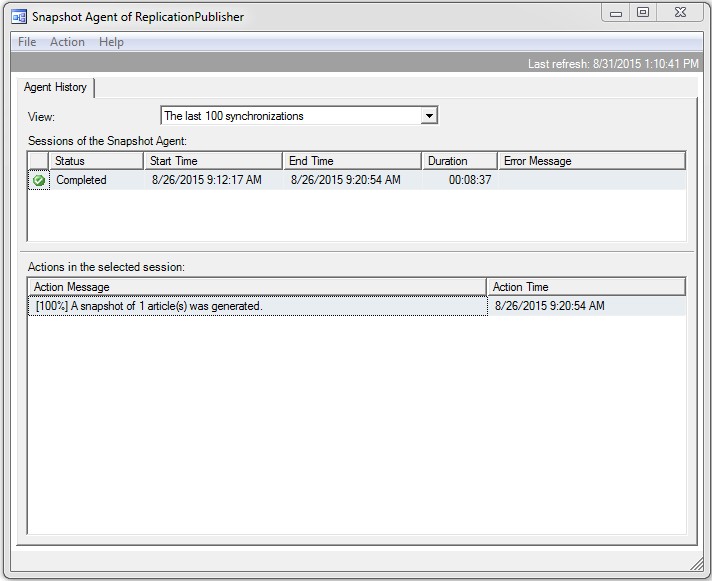 This is how it looks after the Snapshot agent has finished running. For bigger databases it saves a hell lot of time. I hope this saves you some time as it did for me!